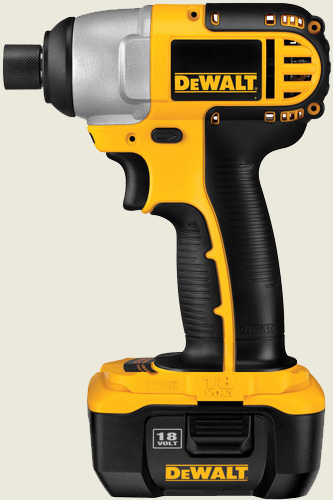 Dewalt Impact Driver. You can drive some screws with this baby!! Are you using the right tools to help you in your spiritual growth? So, what does spiritual formation look like in the life of the Christian? I think of it as having the right tool for the right job. I am in the process of making some repairs to our backyard deck. Over the years, a number of the nails holding the deck together have corroded. This time, I plan on using galvanized screws instead of nails. To do the job, I broke down and bought a Dewalt impact drill. It is like a screwdriver or a power drill, but it has a unique design. An impact drill increases the efficiency in driving screws into wood by applying a stronger rotational and downward force than a normal drill. (Hey, I am engineer. An engineer likes his tools). Here is the point: When you are trying to make home improvements, like repairing a deck, it is important to get the right tool for the right job. In much the same way, spiritual formation is about getting the right tool for doing the right job. 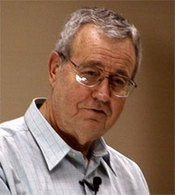 Dallas Willard. Pioneer for the renewal of spiritual formation in the contemporary church. What is spiritual formation? Do we really need it? Spiritual formation is a term that gets tossed around quite a bit in churches today, but there is a lot of confusion as to what it means. Some are even downright suspicious of the idea. This hesitancy is understandable. In the broader culture, we find a lot of appeals to so-called “spirituality.” There is spirituality in the workplace, spirituality Oprah-Winfrey-style to beat the rat-race, spirituality all over the place. In other words, spiritual formation without the Holy Spirit really does not lead to the type of life promised to the believer in Christ. Earlier on Veracity, we briefly explored some of the basic ideas behind a Christian approach to spiritual formation. When we read Romans 12:1-2, we learn that the Apostle Paul urges us not to be conformed to the values of this world but instead to be transformed by the renewing of your mind. What does this mean and what does this look like in the daily life of the Christian? The answer to this question gets to heart of what genuine Christian spiritual formation is all about. 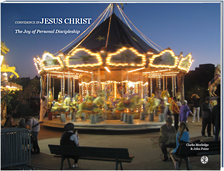 Spiritual formation in the tradition of Jesus Christ is the process of transformation of the inmost dimension of the human being, the heart, which is the same as the spirit or will. It is being formed (really, transformed) in such a way that its natural expression comes to be the deeds of Christ done in the power of Christ. Transformation: As the Apostle Paul teaches in Romans 8:9-11, if Jesus Christ is in someone, then that person becomes spiritually alive. To be in Christ, through the indwelling of the Holy Spirit, means taking on the character of Christ (Galatians 4:19). The problem is that many Christians are great at acquiring knowledge, but they are not so great about putting what they have learned into practice. On an intellectual level, we may be able to grasp the theology, but in terms of our day to day experience, our level of spirituality might actually be rather shallow. The challenge is this: practically speaking, what does it mean to take on the character of Christ in your life? Here I want to try to address some of the misunderstandings Christians often have about spiritual formation. Like any misunderstandings of this sort, there are grains of truth that we should keep in mind. 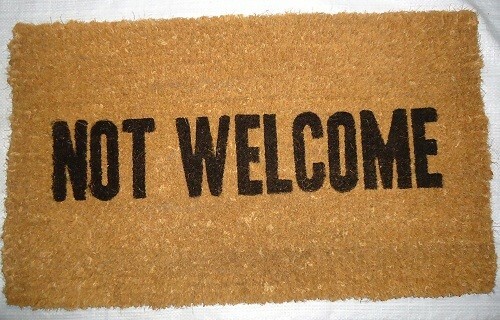 A growing number of secular-minded college campuses are not extending the welcome mat to evangelical Christians today. Is the central issue regarding sexual discrimination, or is it an erosion of religious freedom? Tish Harrison Warren has written a very compelling article at Christianity Today on her experience as a campus ministry worker at Vanderbilt University. Several years ago, Vanderbilt University kicked several Christian student groups off of campus for failing to comply with the university’s revised anti-discrimination policy. Along with Bowdoin College in Maine and possibly soon the entire Cal State school system, with some 450,000 students, Vanderbilt has joined a growing trend that is seeking to revise their criteria for allowing religious groups to affiliate with university campuses, allowing space for on-campus meetings, as well as sometimes permitting the partial use of student activities fees to fund some aspects of their programs. The conservative Christian groups at Vanderbilt sought to challenge what they considered to be an intrusive form of control by the university. Vanderbilt insisted that leadership in student religious groups should not be limited to those adhering to an organization’s statement of faith. This put the Christian groups on that campus in a real bind, having to choose between the principle of honoring their creedal commitments against working with the anti-discriminatory policies of the university. It is a dilemma worth thinking about deeply.